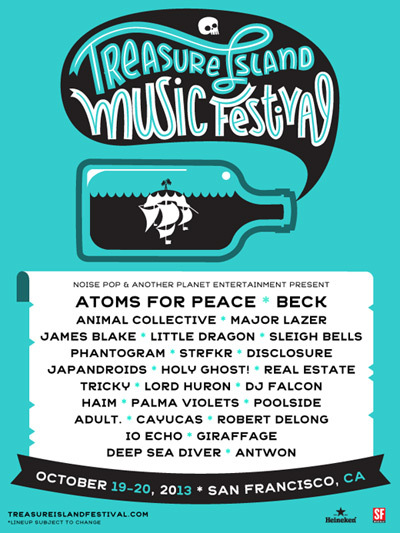 Beck headlined the second night of this two-day festival in San Francisco. 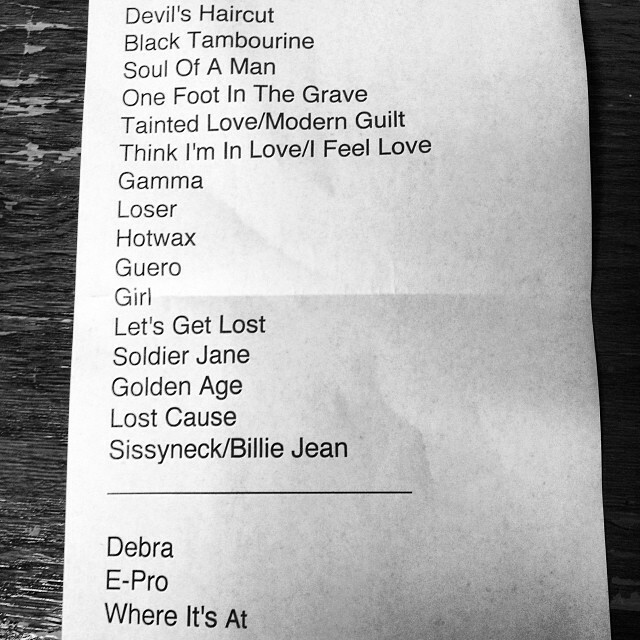 Setlist from the image below; haven't heard a full recording but most reports seem to indicate he followed it. Mostly the same set as his festival appearances in July, except with the addition of "Soldier Jane" and the first live performance of "Let's Get Lost." Alexis Krauss of the band Sleigh Bells sang Bat For Lashes' part of "Lost"!